The API has primarily been created for PC, with implementation currently in place for those GPUs sporting AMD’s Graphics Core Next architecture. AMD and EA Seem to be in Cahoots when it comes to this new tech. A lot of Upcoming EA Titles seem to be supporting the new API. With Battlefield 4 marking the release of the new API and Thief getting an update to support this technology. The Technology seems to help PC’s with Lower end cards run game easier or at least make it so that you don’t need super high end over the top card to run certain games on high settings. The Battlefield 4 update for the mantle API has increased the average frame rate, although at the cost of a severe drop in the minimum frame rates. 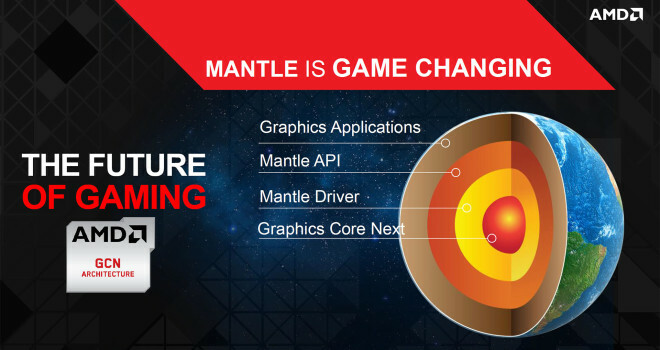 Crytek recently announced that they are implementing Mantle API support for the CryEngine. We can assume this means that the upcoming Far Cry game will support Mantle.Crytek announced this week that it is making CryEngine available to indie developers for a measly $10 a month, which in my opinion is great compared to paying upward of 20 grand.